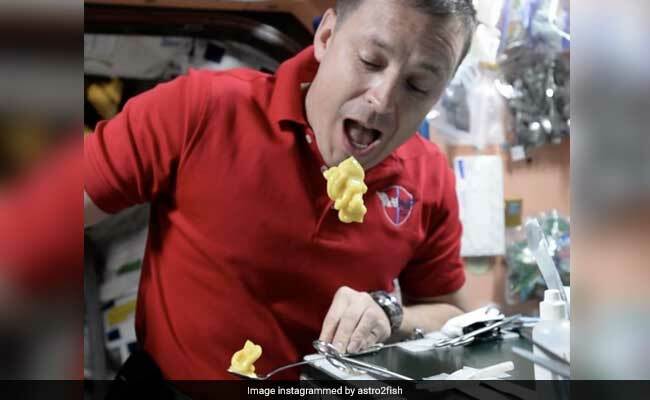 NASA Astronaut Jack Fischer 'floaty food' looks delicious. One may think living at the International Space Station may not be the easiest. However, one astronaut has found a way to make his stint in space fun. NASA Astronaut Jack Fischer has recently posted a new video in which he shows everyone "the proper way to eat pudding in space." And his way looks definitely more fun than the regular, boring way we eat the desert. "The proper way to eat pudding in space. Space snacks are @Tasty too! #Floatyfood #Spacepudding," he tweeted on May 31. The video shows him making a pudding tower in zero gravity and then lapping it up three bites. Chances are, you'll want to make a pudding tower at home too once you watch the video - only you can't. Thanks gravity! Since being posted, the video has collected over 940 'likes' and some 345 retweets. Tweeple seem to love this pudding-eating method. "This takes playing with your food to a whole new level," says one Twitter user on the video. "Damn, this guy is living every boy's dream. I always wanted to eat pudding like that. Anyone making you clean your room? If not, can I come?" comments another. Many others have tweeted about how they love all the food posts made by him. "Man... you DO like to eat, don't you? Love your food photos and videos, please keep them coming!" says one Twitter user. Here are some other food posts tweeted by NASA Astronaut Jack Fischer.